Learning Tree Farm, an organization located in Orlando, Florida, was founded in 1973 to prevent students from becoming "out of touch" with the outdoors. Learning Tree's mission is "to provide hands-on learning experiences in a traditional farm setting." It offers curriculum-based programs at its farm to give students an interactive learning experience outside the confines of a normal classroom. While at the farm, students develop a greater understanding of and appreciation for nature, food, and living things. 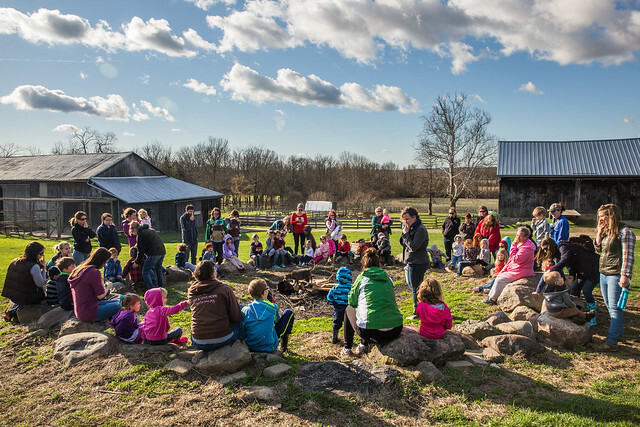 One of Learning Tree Farm's many programs is the Saturday Family Fun Series. In this program, families can experience hands-on farming. Participants build a stronger relationship with nature, and families have the chance to develop a better connection with each other. The organization's school field trip programs allow students from local schools to experience a fun day of exploring the farm, working in the gardens, and petting the animals. Learning Tree Farm participated in TechSoup's Storymakers 2016 campaign. Through its unique photos, Learning Tree Farm told stories about its participants and demonstrated the deep connection that working hands on in nature can provide.